Ever wondered why dates are so popular during Ramzan. 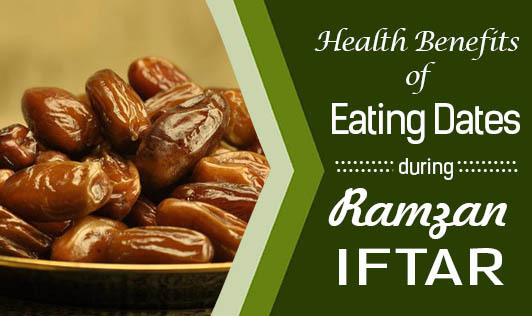 Do you know the significance behind eating dates during Ramzan iftar? • Muslims need immediate energy when they break their fast in the evening. Dates have a high level of natural sugars, which travel quickly to the liver, where they are converted into energy more quickly than any other food. Eating large quantities of food immediately after fasting is not good for the starved body, and having dates first helps to kick start the digestive system, by releasing the digestive secretions and juices which help them digest the more complex food eaten during the iftar. • Dates also decrease the feeling of hunger and the individual doesn't rush into binge eating. Binge eating can cause digestion problems. • Dates are a good source of both soluble and insoluble fiber, and this prevents constipation. • They are rich in nutrients like vitamin A, B6, and folic acid, and potassium, sodium, iron and magnesium. Hence eating dates daily during ramzan is like taking a daily dose of multivitamin required for a strong, healthy body during fasting. They help to metabolize carbohydrates, maintain blood glucose levels, and manufacture hemoglobin and white blood cells. • Dates have the highest concentration of polyphenols among dry fruits. Polyphenols act as potent antioxidants and helps to remove all the toxins from the body. Our creator knows what is good and bad for our body. If we truly follow him in all aspects of life, health benefits are one of the numerous gifts that we would get from the almighty.